Saturday, December 2, 1911: Saturdays are so cut and dried, when no one comes to see you, especially when one is having a short vacation. I made some cookies this afternoon, the first time I really did it alone. They got rather hard on account of having too much flour in them. Anyway they proved to be eatable. Sift together, three times, the flour, salt and baking powder. Cream the butter; add sugar, egg, milk, the flour mixture, and lastly, the peanuts, chopped and pounded fine in a mortar. Drop on a buttered tin, a teaspoonful in a place. Put half a nut meat on each bit of dough. Bake in a moderate oven. These cookies are excellent with a delightful peanut taste. I plan to make them again when I do my holiday baking. For this recipe I used a 375 degree oven. I dropped the batter on a greased cookie sheet, and baked the cookies until lightly browned (about 10 minutes). I did not sift the flour and other dry ingredients. And, instead of using a mortar to pound the nuts–whew, cooking sounds like more work in the days before electric appliances–, I ground them in a blender. Posted on December 2, 2011 August 23, 2015 by SherylPosted in Food, recipesTagged cookies, peanut. I had to laugh at this post. My granddaughter made some cookie dough the other nite, sans baking powder. She left it on the counter and I baked it up as a surprise for her. Those cookies looked rather nice but would shatter on the floor if dropped — so hard the dogs wouldn’t even eat them. Thanks for the post on your grandmother and cookie time. I’m going to make these. peanut butter cookies are a big favor and I think these would be at least as good. 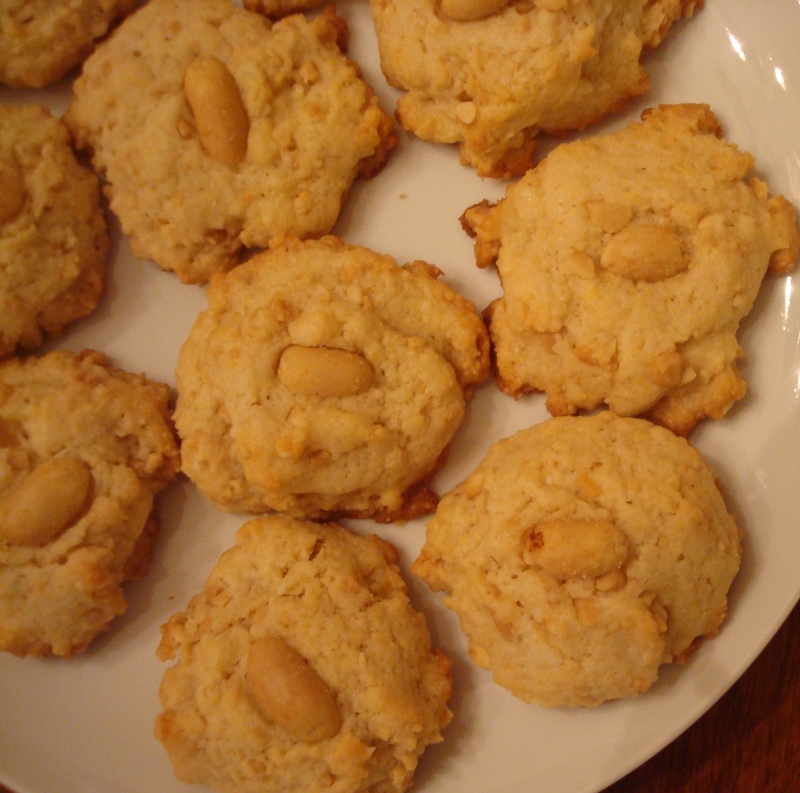 The peanut taste is a little less intense with these cookies than with peanut butter cookies–but I really liked them. An aside –I wonder if peanut butter was available in stores in 1911. My husband is getting ready to make these cookies when I noticed that 1 cup of flour is called for twice. Is that right? 2 cups of flour? Good catch–It’s just one cup of flour once. I’m going to fix the post. Thanks! Thanks for your instance response!! I’ll let you know how they turn out. I’m glad that I just happened to be online. I went downstairs and double checked the ingredients in the recipe book–It should be right now.